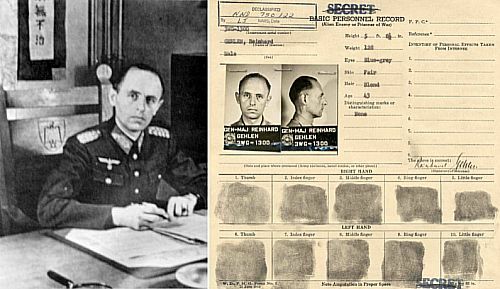 Within the same period, elements of the US government also, covertly, absorbed a network of Nazi spies headed by Nazi General Reinhard Gehlen. “The Gehlen Org” (as it came to be called) worked within the US government to promote Nazi aims and to protect and resettle Nazis from Europe. In fact, the CIA was built around the Gehlen Org. 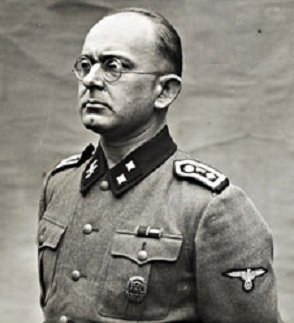 During the Second World War Gehlen served Adolf Hitler as head of military intelligence for the Eastern Front. It was in this post he had created a right-wing group made up of anti-Soviet Ukrainians and other Slavic nationalists into small armies and guerrilla units to fight the Soviets. The group carried out some of the most extreme atrocities that took place during the war. Gehlen was responsible for a brutal torture interrogation program of Soviet prisoners of war that resulted in the murder of three to four million Soviet prisoners. This special treatment extended to included Franz Six, Nazi racial expert and SS intelligence specialist, who had led Einsatzgruppen mobile killing squads on the Eastern Front. 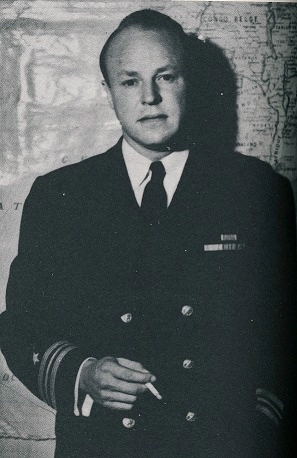 Convicted of mass murder by an American military tribunal in 1948, Six was nonetheless given clemency in order to return to work for Gehlen’s Org. 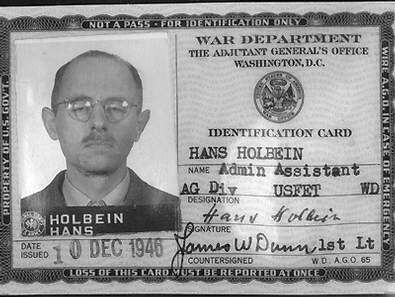 The Gehlen Organization was also used to help Nazi war criminals escape to South America. Along with the importation of Gehlen and his coterie of vile war criminals, whose records were expunged of any reprehensible behavior, the baptismal of the newly created CIA was then honored by wrapping the new creature in this sham of a lily-white darkness. What does this camaraderie say about the characters, Allen Dulles, Frank Wisner and John J. McCloy, to name a few, who co-opted the friendship of these criminal – birds of a feather? This act was the single most driving force that agitated the exaggerated differences between U.S. – Soviet Russia, exacerbating the east/west climate throughout the Cold War. In blowback, the Nazis’ crazed hatred of Soviet Russia soon infected the American public mind with the same rabid anti-Communist sentiments. 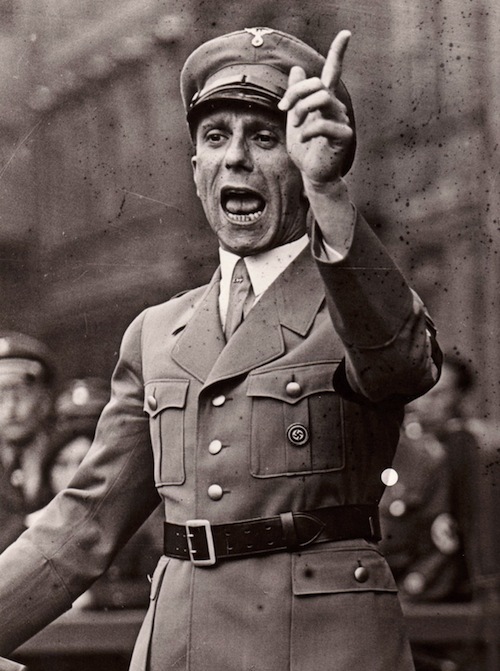 Goaded by the new Gehlen propaganda machinery, fear and paranoia quickly leached out into the fabric of an already wary population; giving rise to the specters of McCarthyism and other such racist villainy that manifest from within the government machinery. Wisner’s mockingbirds included some of America’s best known reporters and commentators, who eagerly signed on to the CIA’s subsidy to exaggerate the Russian threat. 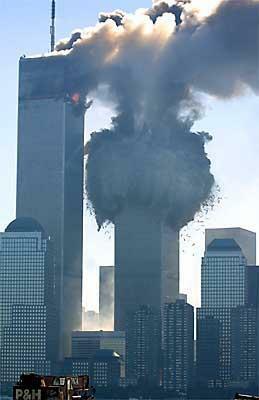 Wisner was also a co-founder of GLADIO. 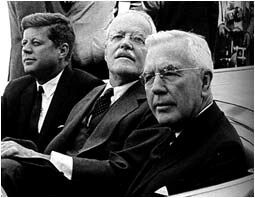 President John F. Kennedy, weeks before his assassination, was communicating with Khrushchev, with hopes of coming together in the mutual development and sharing of space technology. Rather than neighbors of deceit and mistrust; a space and arms race, Kennedy foresaw an atmosphere of peace and sharing. This extended olive branch of cooperation went over like a lead balloon within the ranks of the Gehlen mindset, over at CIA, teaming with rabid pro-Nazi, anti-Communists. The press had already been spinning yarn of Kennedy as a Commie sympathiser. It didn’t require additional impetus of newly slanderous rhetoric to inflame a public mind already on fire. This, no doubt, was one of many contributing factors which brought that infested heap on the hill together in Dallas that morning, summoned by their collective hatred, and like the banana republic they have proven themselves to be, decided to hold their own private election through the cross-hairs of a scope and barrel of a rifle. Gehlen’s seemingly authoritative intelligence reports played a very real role in shaping U.S. perceptions of Soviet Russia during this pivotal period. Furthermore, the reports became an important ingredient in the domestic American debate over military budgets and defense policy. In most cases Gehlen’s words were simply lifted verbatim, placed under a CIA letterhead, which added the prerequisite authority to get the job done. The CIA loved Gehlen because he fed it what they wanted to hear. They used his stuff constantly, and fed this hyped up Russian boogeyman junk to everybody else: the Pentagon; the White House; the newspapers, and it did lots of damage to this country. Today the new Nazis hide within the ranks of the anti-Communist league, which drive the Republican Party and assisted in getting Ronald Reagan elected. Consider another useful idiot at the helm of this machinery, with ties to the mob, such as the passionate anti-Commie Mit Romney, or another Bush family criminal type. They are just as vile in their hatred today as they were when Gehlen was at the helm; Gehlen’s ghost lives; it lives on in the machinery of predatory capitalism – or to use Naomi Klein’s terminology: disaster capitalism – for which any duly elected government not willing to comply with the strictures of its dictates, faces its shock doctrine of annihilation, whose population is then purged of incorrigible’s and disappeared by death squads. 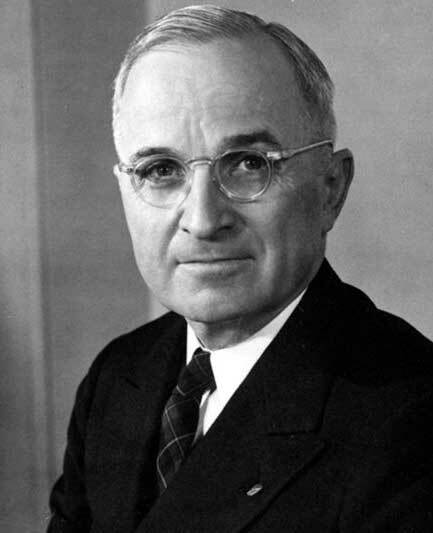 Because the intelligence apparatus of the military and the OSS of the time managed to completely defy Harry Truman’s restrictions against littering the U.S. body politic with such degenerate war criminals, but managed to secretly bypass those admonitions and do so anyway, should we not be concerned and suspect that the current apparatus of the CIA/NSA is just as rogue and out of control as under Truman? For anyone attempting to fathom the depths of darkness and depredation to which the current National Security State is capable of stooping, one only need wrap their mind around this and remember that the founding arteries which feed the current apparatus of Homeland Security are born and rooted in hell. Should its existence come into question, or threatened in any way, it will devise mischief to justify its continuance. It is the nature of the beast! If push came to shove, that very same hell is where it will take you! The current ‘war on terror’ along with the component conflagration it is wrecking upon our planet, is a fallout from Operation Paperclip, which planted the demonic seed of Nazi ideology and allowed it to gestate within the closet of America’s National Security State, has given rise to the marauding beast outside our window, savagely gorging itself upon our neighbors. Like the tired German people of that era before us, we too, in large part, are dangerously incapable of seeing the forest for the trees. The great beast of the U.S. National Security State, whose tentacles run deep into the psyche of the state apparatus, has marinated for decades upon decades, which quiver and pulse upon its seat of power and no matter how much it once was hoped possible, for this reason change is simply impossible, unless of course a miracle were to happen and the pools from which its thirsty war machine bathes and drinks, along with its powder, were to all of a sudden run dry. No matter how far one leans forward, or how fast one runs without looking back, one cannot outrun the ghosts of nefarious deeds past, whose blood screams from the soil. The longer one ignores them; the festering boil will only become that much more repugnant when it’s finally lanced. Meanwhile, the kingdom lies rancid and fallow, incapable of garnering trust or respect from any who comes into contact with it. Unwilling to confront its vile skeletons, as such, the kingdom becomes absurdly mired within its own fits of hypocrisy as it continues to flee. A larger, more technologically complex, security state will not calm the frantic viciousness of those nightmares impinging upon the fleeing psyches of those in fear of looking back. The CIA is the new Schutzstaffel, within the National Security State.